Over the past 50 years Dr. Martens boots and shoes haven’t changed and nor has the attitude of those who wear them. Their wearers bring Dr. Martens to life and they are united as rebellious characters in their own right, who all stand for something. For many, their journey of self-expression has always been accompanied by Dr. Martens. 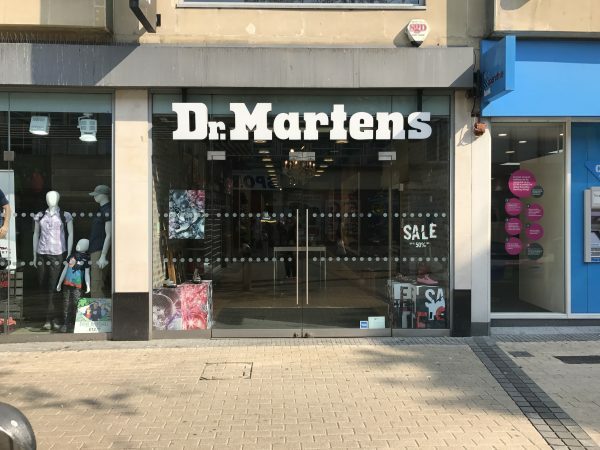 The Dr. Martens Bristol store showcases the best of what Dr. Martens offers: classic and contemporary footwear for men, women and children, along with a selection of the brand’s clothing and accessories range. Delivered by Destination Bristol. Registered in England & Wales (no. 3715280).